Over the Top is Rusty's granddaughter by Stacy's Ridge. Rusty was born at RustRidge in the spring of 1986. The daughter of Maybelle's Hope and Pencil Point, she injured herself as a filly and developed a knot in her neck which caused her to hold her head at a tilt. So they thought she could not be a runner. In 1989 Jim Fresquez came to RustRidge Ranch by the invitation of Lucille Meyer, Susan's mother. He was asked to evaluate her three year old prospects so after he lunched by the pool with Lucille, her brother Stan and his wife Tomi, Jim went over to his sporty Camero, reached into his back seat and grabbed his saddle, to their surprise. "Show me your horses" he said, so Stan walked Jim up to the paddocks and Jim prepared to evaluate Lucille's fillies by test riding each of them. After giving each filly a spin, Jim came back and informed Lucille that RustRidge Sippling and Kool and Lovly "Kool" were her best prospects. A few weeks went by, then Jim was asked to train those two and a few others. Who knew it would be the beginning of long line of RustRidge racehorses and an amazing journey for Jim and Susan. 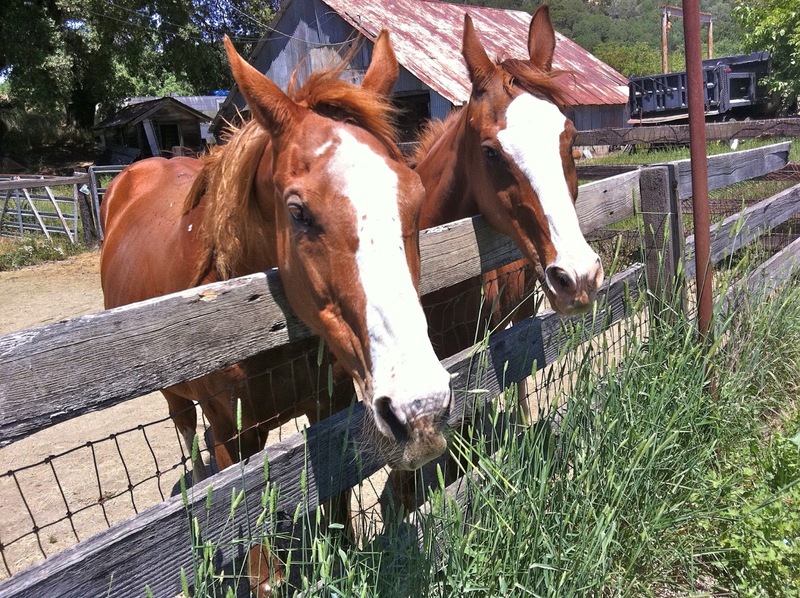 Rusty and Kool proved to be Lucille's best racehorses. Both were difficult to handle and required special treatment. Rusty won her practice race, and had a unique style of running with her head facing sideways due to her neck injury. Unfortunately, in her very first official race, as she was heading to the lead, another horse clipped her, knocking her against the rail and she injured her front leg. The jockey on that horse was disqualified from the race but unfortunately the injury she sustained ended her racing career. Kool went on to win her first race that summer. RustRidge Range, RustRidge Flavor, Rustridge Brix, RustRidge Zin, RustRidge Bo, Stacy's Ridge and RustRidge Reserve. 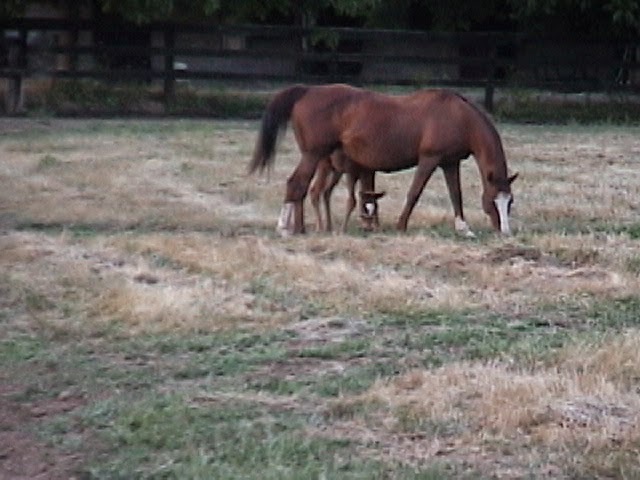 She also had a foal that lived several days and a foal that was stillborn. Each of her six colts were winners on the track and her filly became a broodmare (mother to Devine Thief). 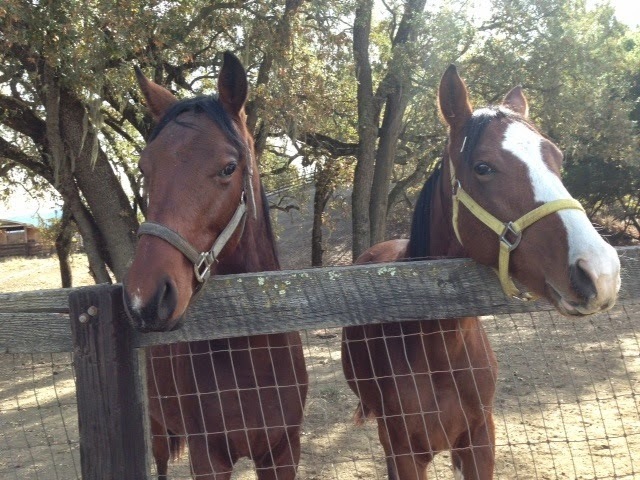 Kool and Lovly and Rusty were like sisters: they were born at the ranch the same spring, raced and had foals together, retired and lived to their late twenties and are buried beside each other on the ranch. They share Genuwine as a grandson. Devine Thief (born to RustRidge Reserve) and Genuwine (born to Kool Valley, Kool and Lovly's daughter) are Rusty's grandsons. Genuwine is the only offspring in the family that has Rusty's and Kool's markings.